"...there is a long-standing presumption “that officials of the Executive Branch will adhere to the law as declared by the court. As a result, the declaratory judgment is the functional equivalent of an injunction.” See Comm. on Judiciary of U.S. House of Representatives v. Miers, 542 F.3d 909, 911 (D.C. Cir. 2008); accord Sanchez-Espinoza v. Reagan, 770 F.2d 202, 208 n.8 (D.C. Cir. 1985) (“declaratory judgment is, in a context such as this where federal officers are defendants, the practical equivalent of specific relief such as an injunction . . . since it must be presumed that federal officers will adhere to the law as declared by the court”) (Scalia, J.) (emphasis added). There is no reason to conclude that this presumption should not apply here. Thus, the award of declaratory relief is adequate and separate injunctive relief is not necessary." "The existing problems in our national health care system are recognized by everyone in this case. There is widespread sentiment for positive improvements that will reduce costs, improve the quality of care, and expand availability in a way that the nation can afford. This is obviously a very difficult task. Regardless of how laudable its attempts may have been to accomplish these goals in passing the Act, Congress must operate within the bounds established by the Constitution. Again, this case is not about whether the Act is wise or unwise legislation. It is about the Constitutional role of the federal government. In accordance with Rule 57 of the Federal Rules of Civil Procedure and Title 28, United States Code, Section 2201(a), a Declaratory Judgment shall be entered separately, declaring “The Patient Protection and Affordable Care Act” unconstitutional." "I previously rejected the defendants’ argument that this penalty was really a tax, and that any challenge thereto was barred by the Anti-Injunction Act. My earlier ruling on the defendants’ tax argument is incorporated into this order and, significantly, has the effect of focusing the issue of the individual mandate on whether it is authorized by the Commerce Clause. To date, every court to consider this issue (even those that have ruled in favor of the federal government) have also rejected the tax and/or Anti-Injunction arguments." In considering this issue at the motion to dismiss stage, I noted that state participation in the Medicaid program under the Act is --- as it always has been --- voluntary. This is a fundamental binary element: it either is voluntary, or it is not. In short, while the plaintiffs’ coercion theory claim was plausible enough to survive dismissal, upon full consideration of the relevant law and the Constitutionalprinciples involved, and in light of the numerous disputed facts alluded to above, I must conclude that this claim cannot succeed and that the defendants are entitled to judgment as a matter of law." which began, at least in part, as the result of opposition to a British mandate giving the East India Company a monopoly and imposing a nominal tax on all tea sold in America would have set out to create a government with the power to force people to buy tea in the first place. If Congress can penalize a passive individual for failing to engage in commerce, the enumeration of powers in the Constitution would have been in vain ..."
Judge Vinson rejected each of the arguments -- such as that everyone eventually gets sick -- used to try to justify the regulation of inactivity, finding that it was speculative and piling inference upon inference to try to tie a particular person's failure to have insurance to the overall regulation of health care. In light of the foregoing, Congress’ failure to include a severability clause in the Act (or, more accurately, its decision to not include one that had been included earlier) can be viewed as strong evidence that Congress recognized the Act could not operate as intended without the individual mandate. Moreover, the defendants have conceded that the Act’s health insurance reforms cannot survive without the individual mandate, which is extremely significant because the various insurance provisions, in turn, are the very heart of the Act itself..."
So if these are the three branches of government, what do we call the 57 states? I'm late to this, but the story has not received a lot of coverage in the conservative blogosphere. Paul Mirengoff of Power Line blog no longer is of Power Line blog. "As for the 'ugly,' I'm afraid I must cite the opening 'prayer' by Native American Carlos Gonzales," Mirengoff wrote. It "apparently was some sort of Yaqui Indian tribal thing, with lots of references to 'the creator' but no mention of God. Several of the victims were, as I understand it, quite religious in that quaint Christian kind of way (none, to my knowledge, was a Yaqui). They (and their families) likely would have appreciated a prayer more closely aligned with their religious beliefs." The original post has been taken down, and I can't find a Google Cache version, but the post was picked up elsewhere and is available here. It is clear that Mirengoff was setting up a "the good, the bad, and the ugly" type of structure (originating, I think, from the movie of the same name). Mirengoff even put the word ugly in quotation marks. This is a very common device signalling that Mirengoff did not literally mean "ugly" but was using the term in the context of the phrase he was parodying. Mirengoff's post was not an attack on American Indians, the Yaqui tribe, or the participation of the tribal leader in a tribal prayer. The point of the post quite clearly was on the absurdity of not having a Christian prayer said for Christian victims. The lack of a Christian (or Jewish) prayer was commented on and criticized by a lot of people, and I agree with that criticism. The American Indian leader was welcome to participate with a traditional prayer, but if you were going to have a memorial service, why not also pay religious respect to the people you were mourning? "As an enrolled member of the Onondaga Nation; as an attorney who has dedicated his life and law practice to the representation of Indian tribes, tribal organizations and tribal interests; and as a partner in the American Indian law and policy practice at Akin Gump Strauss Hauer & Feld LLP, I was shocked, appalled and embarrassed by a recent Web posting by another Akin Gump partner, Paul Mirengoff, who posted on his personal blog an insensitive and wholly inappropriate criticism of the use of a Yaqui prayer as the invocation to the recent memorial service held in Tucson, Arizona. As soon as I and the firm became aware of this posting, the firm took immediate action to deal firmly with this unfortunate situation. Accordingly, Bruce McLean, chairman of the firm, issued the following statement: “We sincerely apologize for the blog entry posted by Akin Gump partner Paul Mirengoff on his personal blog, powerlineblog.com. Akin Gump is neither affiliated with, nor a supporter of, the blog. We found his remarks to be insensitive and wholly inconsistent with Akin Gump’s values. Mr. Mirengoff regrets his poor choice of words and agreed to remove his post.” "
Meggesto doesn't say who dropped the dime on Mirengoff. How this even came to the firm's attention is surprising. After all, the paragraph in question was pretty mild, part of a larger post and not really much different than a lot of others were saying. Perhaps some innocent concerned citizen just happened to read Power Line that night and call Akin Gump, but it's equally likely the watchers were behind it, directly or indirectly. The criticism by Meggesto and Akin Gump was disingenuous at best. There was nothing in Mirengoff's post which was a "criticism of the use of the Yacqui prayer"; Mirengoff was making a point about the absence of a Christian prayer at a memorial service for religious Christian victims. And just what are Akin Gump's "values"? The primary value at stake here seems to be money to be generated from representing Indian tribes and financial interests. Nothing wrong with that, but Akin Gump should have just said what it really meant: "We are afraid that left-wing bloggers and others who hate Power Line will make a big deal about this and try to use it against the firm to disrupt our relationship with clients who pay us millions of dollars in legal fees each year." If Akin Gump had justified its actions based on its own financial interests, rather than hiding behind words like "insensitive," I would have respected its decision (although still disagreed with it). A law firm has a legitimate interest in maintaining client relationships. Instead, Meggesto and Akin Gump chose to portray Mirengoff at best as insensitive and at worst as a bigot, which conclusions were not supported by the blog post in question. "In a post last night, I criticized the use of a Yaqui prayer as the invocation to the memorial service in Tucson. In doing so, I failed to give the prayer the respect it deserves. Although I did not intend this as a slight to the religion or to the Yaqui tribe, it can clearly be interpreted as one. For this, I sincerely apologize to my readers, to the Yaqui tribe, to all tribal leaders and Indian people, and, specifically, to Carlos Gonzales who delivered the prayer. I regret my poor choice of words, and I have removed the post." That Mirengoff, to satisfy Meggesto and Akin Gump, confessed to criticising the use of a Yaqui prayer when his post clearly did not do so, speaks volumes to the pressure Mirengoff must have been under. And then Mirengoff left Power Line. And the post was taken down at Akin Gump's insistence, which reminds me of how Stalin ordered biographies of purged leaders to be removed from encyclopedias across the country. I can't blame Mirengoff for confessing to sins he never committed. Mirengoff probably makes big money at Akin Gump, but like most big firm lawyers, probably does not have his own clients. So Mirengoff's livelihood was at risk, and having been tagged as ethnically insensitive, he was vulnerable. Mirengoff, being an employment defense lawyer, knew better than anyone how his blog post could be twisted and turned against him. I guess the only good news is that Mirengoff was not forced to "name names" to get a more lenient sentence. I can't help but think that Mirengoff being a well-known conservative blogger contributed to the fauxtroversy and that there was a double standard. If Mirengoff were a liberal blogger, and had made exactly the same comments but about having only a Christian preacher opening the memorial service for non-Christians, Mirengoff still would be blogging at Power Line. I'm glad I don't work at a big law firm. It's so much easier being an outspoken conservative blogger at an Ivy League university. I hope Mirengoff does not give up blogging altogether. While I am generally against anonymous blogging, I might be willing to make an exception. Mirengoff can blog here under the pseudonym Pyotr Yakir. And don't worry, Paul, I won't name names, either. Update: Robert Stacy McCain has more on some of the background. And Eric Boehlert of Media Matters is practically jumping for joy that Mirengoff no longer is blogging, which is what Boehlert had been hoping would happen, Note To RW Bloggers: Could Obama Derangement Syndrome Cost You Your Day Job? One of my friends at Cornell is keeping a blog as he studies abroad in Syria. Jonathan Panter is a conservative in support of Bush foreign policy, as well as a junior government major at Cornell. He speaks Arabic and has traveled extensively in the Middle East, so his opinions will probably be a bit more educated than the average study abroad blog (thank goodness!). I'll be keeping track of his observations and I hope you do too. After all, people like him are the likely inheritors to our government policies. Mohamed ElBaradei is one of those figures who, because he is fairly westernized, easily manipulates western media and left-of-center bloggers and pundits into thinking he wants a western-style democracy in Egypt. It is not surprising that despite his obvious opportunism, ElBaradei has become something of a hero to those in the West opposed to Mubarek. Earlier Sunday, the Muslim Brotherhood threw its support behind ElBaradei to hold proposed negotiations with the government in order to form a new unity government. Speaking to Al-Jazeera, Muslim Brotherhood official Essam el-Eryan said that "political groups support ElBaradei to negotiation with the regime." "It is loud and clear from everybody in Egypt that Mubarak has to leave today, and it is non-negotiable for every Egyptian." he said. He added that it should "be followed by a smooth transition [to] a national unity government to be followed by all the measures set in place for a free and fair election." A "national unity government." That's exactly what happened when the Shah left Iran, only to have the Islamists take advantage of the power vacuum. And it's what happened in Lebanon until Hezbollah pulled out and collapsed the government recently. And in Gaza between Hamas and the Palestinian Authority, until Hamas seized full control of Gaza. ElBaredei is a wolf in sheep's clothing, and so would be a national unity government. Eqypt may need Mubarek gone, but it does not need a facade of unity which will be used by the Muslim Brotherhood to consolidate power. For ElBaradei, such outreach might simply be good retail politics. After all, with control of one-fifth of the seats in Egypt's parliament, the Brotherhood -- though still formally banned, and routinely persecuted, by the Mubarak regime -- wields considerable political clout. Still, political participation doesn't necessarily mean moderation. The Brotherhood's long-awaited political platform, unveiled publicly back in October 2007, laid out a radical, exclusionary vision that marginalized women and non-Muslims and advocated the establishment of a religious authority with oversight over all governmental activity. The following year, an internal election within the movement strengthened the party's hard-liners. More recently, conservative factions within the Brotherhood have been accused of carrying out a "purge" of the movement's reformist wing -- a charge confirmed by the installation of ultraconservative cleric Mohamed Badie as the organization's supreme guide in January. If the Brotherhood is joining a coalition committed to political liberalism, it's clearly not for ideological reasons. And also check out this article from March 2009 in Haaretz, the left-wing Israeli newspaper, How ElBaradei misled the world about Iran's nuclear program. Owing to that US aid, the Egyptian military today makes the military Israel barely defeated in 1973 look like a gang of cavemen. Egypt has nearly 300 F-16s. Its main battle tank is the M1A1 which it produces in Egypt. Its navy is largest in the region. Its army is twice the size of the IDF. Its air defense force constitutes a massive threat to the IAF. And of course, the ballistic missiles and chemical weapons it has purchased from the likes of North Korea and China give it a significant stand-off mass destruction capability. 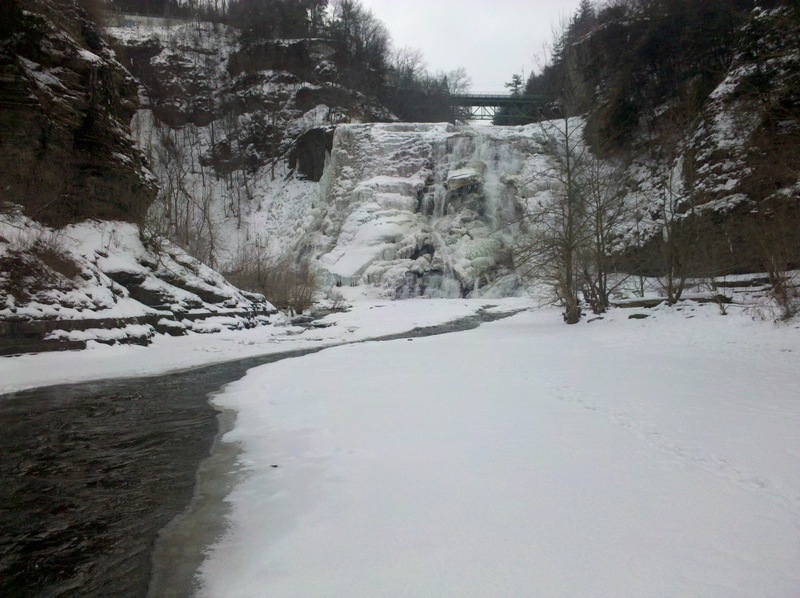 Definitely needed a long walk in the snow, including past Ithaca Falls, to escape the craziness. A fall version of this shot is here. Obama does bear responsibility for the high, and now likely perpetual, unemployment rates, the skyrocketing budget deficits, and the rapid rise in our national debt in the past two years. Domestically, the obsession with passing Obamacare and expanding government had a direct cause and effect relationship to our economic problems. Internationally, it more is a matter of neglect and disregard, rather than a causal connection. Having prostrated the United States before the world in the first months of his administration, and then having largely abandoned that world while focusing on Obamacare, we have watched a de facto Iranian takeover of Lebanon via Hezbollah, and a spread of Iranian and Islamist influence. It remains to be seen in which direction the Egyptian crisis moves, but all signs point to creater instability in the region and greater influence of Islamists. The administration's complete obsession with Obamacare has had intended and unintended consequences, only some of which presently are known. Update: Yes, I know, not all of the foreign policy has been neglectful. The Obama administration was quite active in supporting the Hugo Chavez-wannabee who tried to make himself president-for-life over the objections of the Honduran people, and in publicly scolding the Israelis for the lack of progress in peace talks. The upheaval in Egypt demonstrates the folly of those who claim to support Israel yet who seek to compel Israel to withdraw to the pre-1967 borders without adjustment. The pre-1967 borders are what amounts to the completely arbitrary armistice lines drawn at the end of fighting when Arab armies tried to destroy the newly declared State of Israel. As described in The Palestinians: Who Are The Real Peace Partners? (h/t Carl in Jerusalem), the negative reaction of Palestinians to revelations that Palestinian Authority leaders considered a territorial compromise with Israel demonstrates that Israel may have peace partners in some Arab leaders, but it does not have peace partners in Arab populations. There is no legitimate analogy of withdrawal to the pre-1967 borders to the Israeli withdrawal from the Sinai after the 1979 peace treaty with Egypt. As the map of Sinai at right indicates, the Sinai peninsula is enormous, with mountain ranges which serve as natural tank traps. Some of the most monumental tank battles were fought in these mountain passes and flat deserts when Egypt invaded in 1973. The 1079 treaty imposed limits on the quantity and quality of Egyptian troops and weapons in Sinai, so that Israel did not face Egyptian tank divisions near its border. The depth of the Sinai provided a buffer zone which made peace possible -- unless and until an Egyptian government were to breach the treaty. With the possible collapse of the Mubarek government, the buffer zone of the Sinai is even more important. No such buffer exists in Israel proper. Contrast the map of Sinai with the map of Israel, in which one can drive across the country in less time than many people in the U.S. drive to work. For Israel to withdraw to the pre-1967 borders, without retaining strategically important parts of the West Bank and Golan Heights, is a risk Israel cannot take. The answer to the headline question is ... Virginia Democratic Rep. Jim Moran. You may have heard that in an interview with Al Jazeera after Obama's State of the Union address, Moran blamed the Democrats' 2010 electoral losses on racism. So now we have covered the race card, one down, two to go. In the buildup to the Iraq war in 2003, Moran sparked a firestorm when he claimed that the pro-Israel lobby and Jews were driving the decision to engage Iraq militarily. "If it were not for the strong support of the Jewish community for this war with Iraq, we would not be doing this," said Moran, whose remarks were first reported by the Reston Connection newspaper. "The leaders of the Jewish community are influential enough that they could change the direction of where this is going, and I think they should." In 2007, Moran again rankled the Jewish community when he lamented the power of the American Israel Public Affairs Committee (AIPAC) by saying their influence was driven by their wealth. Moran's spokeswoman almost certainly was referring to the hyperbolic hate group list published by the Southern Poverty Law Center, which has been debunked in prior posts here. The Race Card, Israel Lobby Derangement Syndrome, and SPLC Hyperbolic Disorder all wrapped into one Democratic Congressman from Virginia. How did Moran win in 2010? Can't Virginia Republicans find someone to beat this guy in 2012? What Does The "Israel Lobby" Have To Do With The Discovery Channel Hostage Taking? (K. McCaffrey) -- In Egypt, the internet has effectively been shut off. One of my favorite websites, www.accessnow.org/, which looks to preserve freedom by upholding internet access, is working hard on cracking this. (They also continually try to liberate freedom of information for Iranian citizens.) I really love the work they do and hope they have success so that we may learn more about what is happening in Egypt. This is all, of course, assuming the Combating Online Infringement and Counterfeits Act (COICA) is not passed since it "proposes the creation of two blacklists of internet domain names: one administered by the courts, the other by the Attorney General. Any website where counterfeit goods or copyrighted material is "central to the activity of the Internet site" would be blocked." The U.S. government has plans for its own Internet Kill Switch. The legislation was first introduced last summer by Sens. Joseph Lieberman (I-Conn.) and Susan Collins (R-Maine), and the former has promised to bring it to the floor again in 2011. It isn't called anything as obvious as the Internet Kill Switch, of course. It is called the "Protecting Cyberspace as a National Asset Act." Who could be against that? Anyone who's watching the news on TV today, that's who. The proposal calls for the Department of Homeland Security to establish and maintain a list of systems or assets that constitute critical cyber-infrastructure. 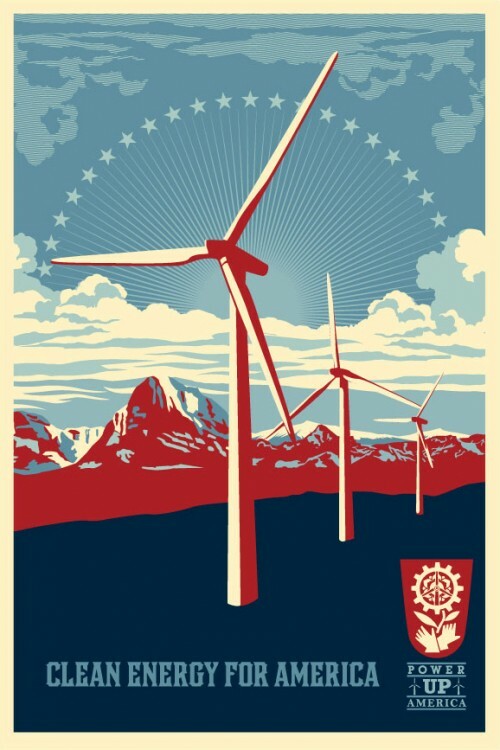 The President would be able to be able to control those systems. He or she would have ability to turn them off. The kicker: none of this would be subject to judicial review. This is just a proposal, mind you, but it certainly warrants concern. Particularly given the heavy-handed example being provided by Egypt. Let us hope that this Egyptian crisis marks the end of these tactics, not the beginning of an age for their abuse. Also, there is some great coverage from the American students in Cornell reported on the CornellInsider, the blog of the Cornell Review. Now if only we could win the war on liberal bumper stickers. Media Matters: Egypt Erupts, So Let's Blame ...The Israel Lobby! As of this writing, it remains unclear whether Mubarek will hold onto power in Egypt. As I pointed out before, the implications for peace in the region are enormous, as an undermining of the 1979 peace treaty with Israel could spark regional war. There is understandable caution among the governments of the U.S. and Israel, and people who care about avoiding a destabilizing Iranian-style revolution. But the Media Matters anti-"Israel lobby" machine never pauses for thought or reflection. And neither does M.J. Rosenberg of Media Matters, a former "Israel lobbyist" whose new religion is bashing the "Israel lobby." The notion that the "Israel lobby" is responsible for the problems in Egypt is preposterous. Using that logic, why isn't the anti-Israel lobby to blame; after all, those who argued that the U.S. needed more "balance" in the Middle East long have advocated greater support for existing governments of Egypt and other Arab countries. The calls for greater democracy in the Middle East, even at the risk of destabilizing authoritarian governments, have come not from the anti-Israel lobby, but from the pro-Israel "neocons" and George W. Bush. In the quest to demonize the "Israel Lobby," Media Matters and Rosenberg take two unconnected issues and create a false causation argument. At least they haven't blamed Sarah Palin. But give it time. Update: By the way, if you want a good example of how Media Matters deceptively spreads its talking points, Rosenberg wrote the column linked above for a Media Matters project as part of his job for Media Matters, but then re-posted the same column at TPM without any indication that the column originally was written for and paid for by Media Matters. Update 2-1-2011: I brought the lack of attribution to Josh Marshall's attention on January 29, but so far no response or updated disclosure at TPM. Why Do Leftist Jewish Bloggers Love The Dual Loyalty Smear? Particularly when you compare it to more recent photos, as Phyllis Chesler does. Remember, support for Obama is grassroots. TNT says it is sorry. First I would like to compliment you and the entire staff of "The Mikado" on the beautiful sets, costuming and professional performance we experienced on Sunday, Jan. 23. However, I must call you on something that was inserted into the play which I am almost positive was not in the original book. The comments made in such a cavalier and oh-so-humorous way were uncalled for. Now, I realize you play to a mostly liberal audience in Missoula and so, I am sure, felt comfortable in your calling for the beheading of Sarah Palin. I am painfully aware that most in the audience tittered with laughter and clapped because "no one would miss her" but there were some in your audience who took great offense to this "uncivil tone" about another human being. There was a really fascinating list composed by Kathy Shaidle of the Lefts most egregious attacks on talk radio. The whole list is worth reading, particularly if you - like myself - listen often. Whenever I get "blowback" over listening to my favorite hosts, I'll be sure to take note of these overblown attacks on figures like Savage and Beck! Who do you listen to? I'm partial to Laura Ingraham, John Batchelor, and Rush Limbaugh myself. "Joe Biden says Egypt's Mubarak no dictator, he shouldn't step down...... and wonders what the Egyptian protesters want. Vice President Joe Biden spoke to the PBS NewsHourtonight with the most direct US governent comments yet about the gathering Egypt protests against President Hosni Mubarak's 29-year reign. Mr. Biden's comments are unlikely to be well-received by regime opponents, as they fit a narrative of steadfast US support for a government they want to bring down. About eight protesters and one policeman have died this week as Egypt has sought to bring down the heavy hand of the state against opponents. Since the US provides about $1.3 billion in military aid to Egypt a year, the repressive apparatus of the state is seen by many in Egypt as hand in glove with the US." I wonder how Barack Obama will dance around this commentary from his number 2. As an aside, whoever does the PR in the Vice Presidents office should really write a book after this is all done. It will be gold. What I learned back in September, what the professor did explore. The whole plan is just begetting of higher deficits galore? The whole poem is worth a read. Personally, I think it was Stuxnet. I know, you want to finish the sentence "can live without 'em." The interview is even more interesting than the jacket summary, and is available at PJTV for free, although you do have to register. "Almost every problem--the shortcomings of our political and educational systems, the lingering financial disaster, market bubbles, energy crises, the failed promises of the developing world, resource-based wars--stems from what he calls "stalled technological innovation." What a better place this would be, he often muses, if we could press the reset button and go back to the late 1950s and '60s and realize the predictions of science fiction that failed to materialize: ubiquitous space travel and colonization, robots à la the Jetsons, underwater cities, desalinization, reforestation of deserts and much more. Because we're all running harder and harder just to stay in place, the only salvation is big scientific breakthroughs. It would be easy to write off Thiel as a "wackaloon," as one political blogger has called him. Indeed, Thiel is putting serious money behind companies and groups bent on extending life, colonizing on ocean platforms, commercializing space, promoting so-called friendly artificial intelligence and leapfrogging DNA sequencing, among other causes." One can say what they will about the feasibility of Thiel's plans or opinions, but at least the man isn't using taxpayer money to inflate his ego or find his place in history (unlike our modern political class). In these times, we need visionaries who act on their beliefs and take their own resources to fill voids and influence others. I'll be keeping my eye on Thiel in the years to come - campaigning for him.